Choosing your next camera can be tough, with so many different models on the market with ever increasing resolution and clever features. 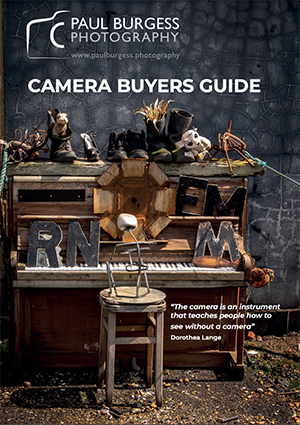 My free, 16 page, guide will help you to understand what features are important to you and how to get the best camera to fit your budget and your photography interests. Just fill in the form and we will send you a link to download your copy. Advice in the guide is purely my opinion and is not sponsored by any supplier or manufacturer. I hope that you enjoy reading it and find the information usefull.